The patient was a 53 year-old female with a LLL mass already diagnosed as squamous cell carcinoma. 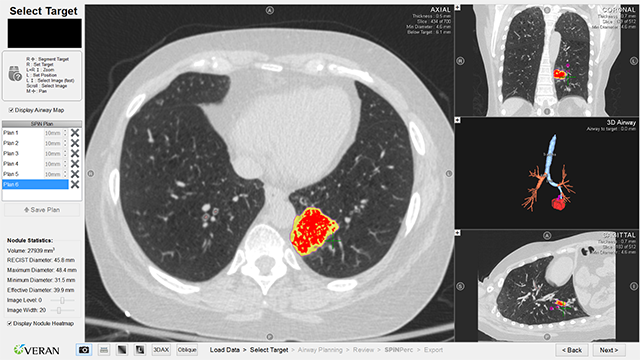 Since she was not a candidate for surgical resection, the patient was referred for SBRT. The Radiation Oncologist referred the patient to Dr. Venkata for staging and fiducial marker placement, so that the fiducials could be placed endobronchially with a lower pnemothorax rate. Using the SPiN Planning™ software, Dr. Venkata created five plans to deploy fiducial markers in and around the 45.8mm LLL mass. One plan was to place directly in the mass, and the other four were placed within the radius around the mass. The procedure started with Linear EBUS that yielded negative results. Dr. Venkata then seamlessly transitioned to EMN. 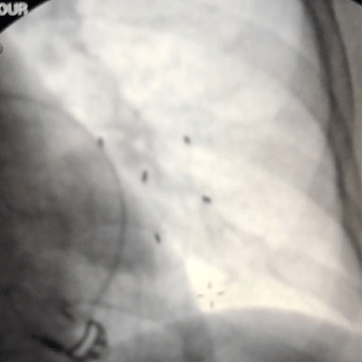 Four fiducial markers were deployed using an Always-On Tip Tracked® brush at the pre-planned targets to surround the 45.8mm mass in the left lower lobe. One fiducial marker was then placed in center of the mass using a needle. 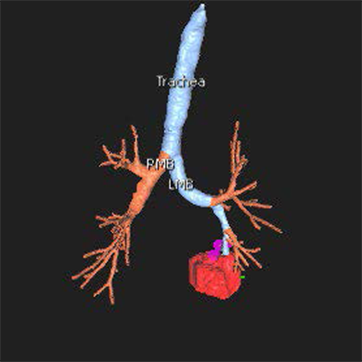 The locations of the fiducial markers were confirmed with post fluoroscopy imaging. 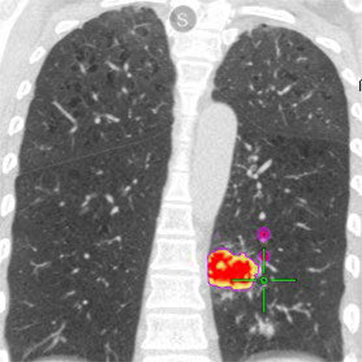 Subsequently, radiation therapy was performed with CT imaging.